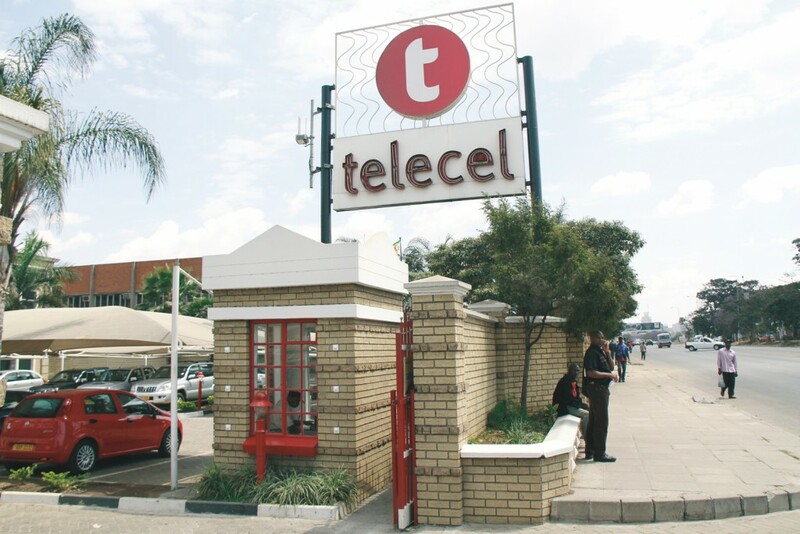 A STORM has rocked Telecel Zimbabwe over its ownership structure, as two directors James Makamba and Gerald Mlotshwa, are both claiming chairmanship of the country's third largest telecoms group. Makamba, through Empowerment Corporation (EC), a 40% shareholder in Telecel, has held the chairmanship since inception in 1998, but it has since emerged that he lost his shareholding in the company after defaulting on a debt owed to a local investment company and a South African institution. EC is a local consortium of businesses and individuals that was put together for the establishment of Telecel Zimbabwe in 1998. Its shareholders include Makamba, through Kestrel Corporation, the Indigenous Business Women Organisation, but the shareholding is personalised through Jane Mutasa's Selporn Investments, Zimbabwe Miners' Federation, Affirmative Action Group, War Veterans' Association and Zimbabwe Farmers' Union. Makamba and Mlotshwa are claiming rights to chair the group, with the former saying he is deriving powers from the existing company registration certificates, while the latter is armed with share purchase agreements that both parties were signatory to. Industry sources told NewsDay yesterday that only the intervention by government would resolve the dispute. Through ZARnet, government owns 60% shareholding in the telecoms firm. Documents seen yesterday showed that an investment vehicle, led by banker George Manyere, controls the majority shareholding in EC in spite of efforts by Makamba to continue holding on to the shares he lost over an unpaid debt. Makamba issued a statement on Tuesday that he had not exited the company and still holds majority EC shareholding. In a statement, through his lawyers Chinyama & Partners, Makamba said he never resigned as director or chairman of Telecel. He said while he had, at one time, wanted to sell his equity to a certain consortium, it (the consortium) had failed to fulfil the terms of the conditional purchase and sale agreement. This failed arrangement, Makamba said, had seen him writing a conditional letter of resignation, which could only have been effective upon meeting of conditions in the conditional agreement of sale. Makamba supports this position with a letter from company secretary Carlton Consultants, who confirmed that according to a CR14 form filed on March 14, 2006 with the Registrar of Companies, Makamba and Mutasa were EC board members and that they had not received instruction to effect any directorship changes. The letter is dated June 8, 2018. However, minutes of an extra-ordinary general meeting held in Sandton, South Africa, on February 9, 2017 and seen by this publication show that Makamba lost part of his shareholding in EC, while he agreed to sell the remaining part under a separate share purchase agreement, the net effect of which would result in the full and complete exit of Kestrel. The meeting was attended by Makamba, Mutasa, Manyere and Mlotshwa, who chaired the proceedings. According to the minutes, the meeting resolved to reorganise EC shareholding following Manyere's acquisition of Kestrel's debt from Brainworks and from a South African financial institution which had been securitised by Kestrel's shares in EC. However, only the undisputed shareholding of 68% would be re-organised. Under the new structure, Manyere, through MHMK group, would hold 38,75%, Kestrel Corporation 30,25% and Selpon Investments 21%, while the remainder would still be held by historical promoters. Under a separate share purchase agreement signed in May 2017, Makamba consented to dispose of his remaining shareholding to Mlotshwa for an agreed sum. The meeting also agreed to appoint Manyere, Mlotswa and Walter Kambwanji to the board and that Makamba would resign as EC director and chairman of Telecel. In June 2017, Makamba wrote to Telecel Zimbabwe directors giving notice of his resignation as director and chairman of the telecoms company although stating that it was subject to the completion of the transaction. An EGM was supposed to be convened in August 2017 to note the transaction and the appointment of the new directors but failed because of ongoing government fights. However, another EGM, without government representation, took place and passed just one resolution, which was the appointment of Mlotshwa as a director. It is understood that Makamba, who could not be reached for comment yesterday, later dragged his feet and changed the goalposts. "After some compromise, it was agreed that Mlotshwa would take over his debt of $3,5 million and only then would he be issued with the remaining shares," a source said. However, when it was clear that Makamba would not finalise the transaction, Manyere went on to file summons seeking the return of the deposit paid to him, which, with accrued interest, was just under $4 million. Through Scanlen & Holderness, Makamba, however, sought to settle the matter out of court with his lawyers presenting two options. One of the options was that the parties should fulfil the compromise agreement in which Mlotshwa would assume the responsibility of the sum payable to Manyere. In the event that the parties mutually cancel the compromise agreement of February 2018, the parties should revive negotiations for the sale of the shares in EC to Manyere subject to a new increased purchase price being agreed between the two parties, Scanlen & Holderness wrote in a letter dated April 30, 2018. In an affidavit dated May 23, 2018, Calton Consultants' Chemunofira Chikosi said he was aware of the sale of Kestrel Corporation shares to Manyere and Mlotshwa. Calton is the company secretary for EC. "I have seen the extracts of minutes of a meeting purported by Dr Makamba and Dr Mutasa in or around 16th of May 2018," Chikosi wrote. "However, as company secretary I am not aware of any such meeting and cannot authenticate these minutes or extracts thereof." When contacted for comment, Mlotshwa, who confirmed he is the new chairman of the group, said he was ready to effect the payment due to Makamba of $11,05 million as per the agreement signed, adding that the businessman was free to take legal action. Manyere said whichever direction the transaction takes, it was clear that Makamba had lost part or all of his shareholding in EC.